Candles are a significant cause of all house fires, year-round. While many colleges and universities ban candles in residence halls (for good reasons! ), students are eventually going to be living on their own. This is a good time to teach them the importance of how to use candles safely-remember, if you don’t do it know, when will they learn, who else is going to teach them? Remember, 85% of fatal fires have happened in off-campus housing where a vast majority of the students live. On average, 24 home candle fires were reported per day. More than half (59%) of home candle fires occurred when some form of combustible material was left or came too close to the candle. 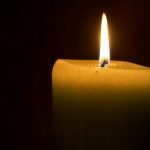 The National Fire Protection Association has a page devoted to candle safety that includes a video, social media posts, a candle safety tip sheet as well as one for religious candles.